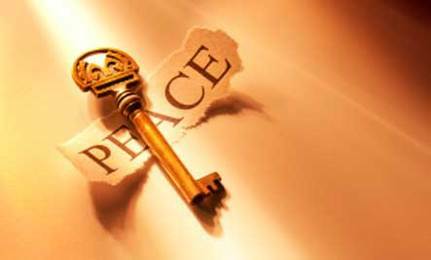 Covenant Relationships: Quit Having Imaginary Arguments... What Inner Peace can do for You. Quit Having Imaginary Arguments... What Inner Peace can do for You. How many times have we replayed incidents in our minds that had upset me us terribly? You are so hurt and angry about how it everything has unfolded. Who behaves that way? I would never have! No one in their right mind does. Then you get all self-righteous. Might even wonder what it would feel like to tell them off… then fantasize doing it. Then you imagine how that would go and feel a little vindicated. Then realizing that it hasn’t happened, and probably never would, you feel deflated and confused. And did I mention helpless? You wondered what you could do to make it different in the future. You try to make sense of it. Many of us live in that place often. Its an insane place. A place you can’t escape from easily because you are’nt always aware you are there. Your feelings will wreak havoc and you become your own enemy. The Bible talks about perfect love driving out all fear. Because there are only two basic emotions Love and fear. All your actions and feelings arise from one or the other. So whenever you feel a negative emotion arise, learn to dig deeper. To ask yourself what it's true cause is. Where there is perfect love there is peace. This gives you a deep sense of connection to others, especially your spouse. Next time you are upset with your spouse ask what I you are afraid of. Most often, it might be fear of not being loved, valued etc The longer you allow this to continue the more you rob yourself of your peace and your mind will suggest some things you could do to get back some will think of flirting to inspire jealousy, some withhold intimacy, others will just give the all round silent treatment and then explode in fits of rage. Pursue peace and when you find it bask in it, live less at the mercy of your mind. Question your thoughts and disregard many of them because a lot of them are not true anyway. Is there any such thing as a Perfect Family? I Can't Take This Anymore! I'm getting A Puppy!!! When Compassion Calls Will You Hang Up?